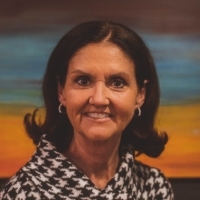 Vicki Cline is a solutions-focused Senior Executive and Consultant with more than 30 years of success across the transportation and logistics industries. Leveraging extensive experience selecting 3PL(third party logistics), outsourcing logistics, and leading sales automation and inbound marketing, she is a valuable advisor for an organization developing a sales force or looking to define metrics. Her broad areas of expertise include sales management, logistics, 3PL, and supply chain management. Throughout her executive career, Vicki has held leadership positions with Mihlfeld & Associates, Inc. and Sales Co-Sourcing. 2018 Recruiting Trend Reports, citing important key takeaways Talent acquisition is bec..
As the end of the first quarter quickly approaches, numerous sales and management individuals are .. Recruiting sales professionals in 2019 is foremost in the minds of many companies. With some..